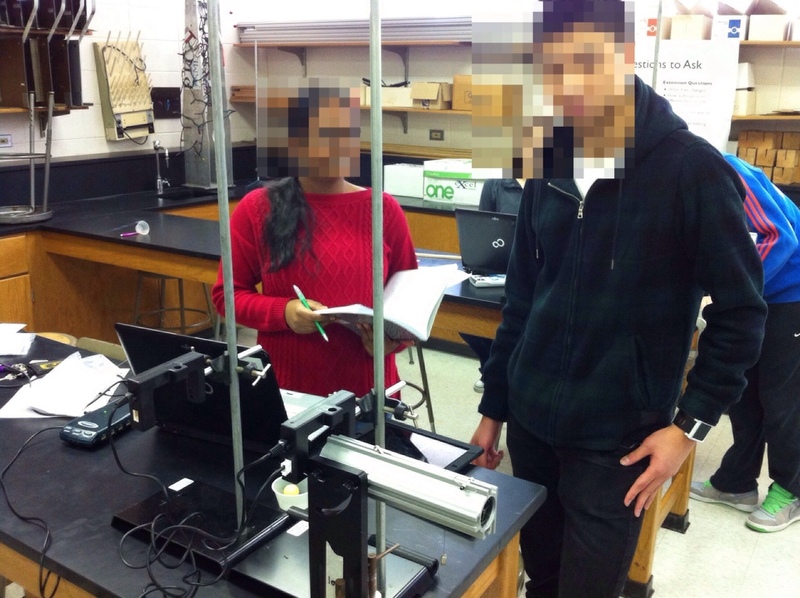 In preparation for tomorrow’s lab practicum, students designed their own experiments today to measure the velocity of the projectile fired from the launcher. Yesterday, when I introduced the lab practicum, I explained that they would have to predict where to place the target on the floor such that the projectile would hit it. The placement of the launcher wouldn’t be known until the day of the lab practicum. What they chose to measure today and how they chose to measure it was up to them. However, I encouraged them to consider measurement uncertainty and measure the velocity in at least two different ways. A couple of groups decided to use the pulse-timing mode in LoggerPro and two photogates.